With 2016 drawing to a close, we take a minute to think of all our wonderful clients over the last year. Each individual, family & house has it’s own story and we are grateful to have played a role in so many stories this year. This was a beautiful home situated on a prime Beach street. No wonder this property ranks #1 for 2016, as the homeowner is an interior designer. We still brought our stagers in to compliment the owner’s style and to finish the look off to appeal to the broadest audience. This property is a prime example of identifying your home’s weak spot and addressing it before going to market. With 126 Elmer it was the fact that there was only 1 bathroom in the home. From our experience it always pays to have a 2nd bathroom installed in your home. The buyers who will pay the most for a home are usually busy professionals and they want a home that is turn-key. It is much easier for them to pay more for a home than to deal with the hassle of renovations once they take possession. Here, an unfinished storage/laundry room was renovated into a beautiful second bathroom with glass shower and integrated laundry. What was important here was to include a shower in the new bathroom. Should the owners have only installed a powder room, a professional couple would be fighting to use the shower every morning. 3 Piece basement bathrooms are much more desirable than 2 piece variants. We helped this family relocate to the Hunt Club – into a stunning +2,500ft newly built home. The builder had done a poor job of choosing paint colours, light fixtures and some of the finishing touches. Because of this, the home was purchased for a great price and our interior designer of a client totally restyled it. When they were done, it was worth at least $200,000 more than they paid for it! The owners of this home invested in painting nearly the entire home and changing many of the light fixtures before we staged it from top to bottom. This is one of those homes that could have gone either way – it was updated enough for a family that could just afford the home would be able to move in an enjoy it right away or, because homes in the area are selling for up to $600k more than this one, someone with a larger budget could decide to renovate the kitchen or add a main floor family room. Because of that later demographic, it was decided that renovating the kitchen to sell would be a waste of money for the homeowners. 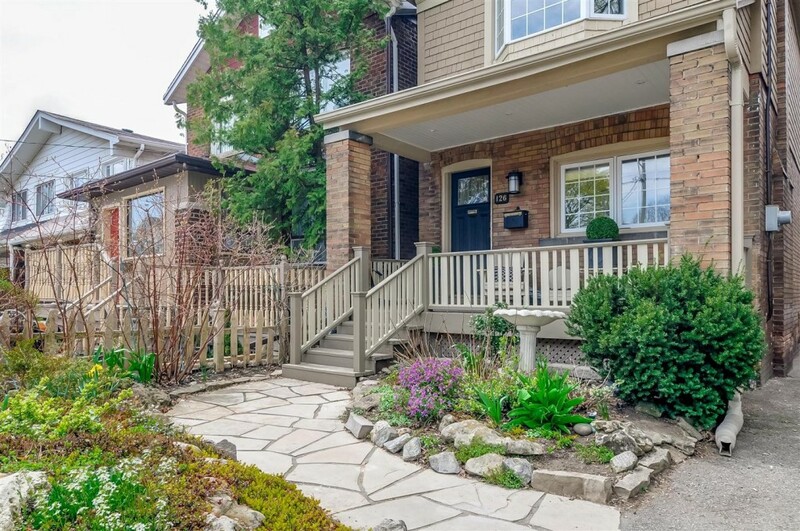 As we brought the house to market, Toronto experienced a heat wave and with no central air conditioning in the home, even hosting Open Houses was nearly unbearable. We pulled the listing off MLS for a few days, while ductless AC was installed and it sold shortly after bringing it back to market. These clients didn’t need the 4 bedrooms and wanted to be closer to the subway for their upwardly mobile children, so we found them a great home a block from a subway station. The new home came with a significantly lower purchase price, which allowed them to take the difference right to the bank! This home made headlines in the Globe & Mail, due to the 20+ offers that were submitted, so it deserves to make this list! When this family contacted us, sadly, their mother had recently passed. There were 3 adult children living in 3 different cities, who would be involved in the listing and sale of their childhood home. We worked with the family to help clear the home of it’s contents and setup a plan that delayed the listing a little to ensure we were hitting MLS when the maximum number of buyers would be looking. The night of offer reviews, two children braved a snowstorm to meet at our office while we communicated with the 3rd by telephone and email. After a long night of reviewing 20+ offers and negotiating with the top few buyers, the house sold for well over it’s list price. While the sale wasn’t as celebratory as many of our sales, due to the circumstances, the clients were happy with the outcome and glad to have the sale behind them. Years ago, a young couple was referred to us by a past client. It turns out our past client, and our soon-to-be new client were colleagues at the same law firm. 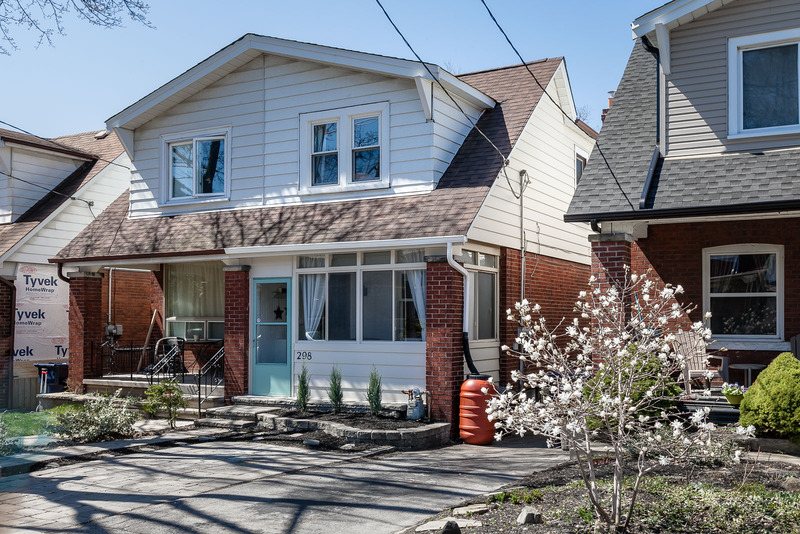 As we showed them two bedroom homes along the Danforth, we would continue to reference the second bedroom as a home office. After a few showings, they announced they were expecting and we were thrilled! This house was perfect, because it sat on an extremely rare 170ft deep lot and it had room to grow, with an unfinished basement and potential for adding a 3rd bedroom on the upper floor. As this family grew, they did just that! When their 4th child was on the way, they called us in. Mom was at home with her kids and was sick of all the little things in the house that needed fixing and, as per usual, dad didn’t notice any of it. We listened to them and drew up a game plan that, if executed, would allow mom to love her house again. And, if they outgrew the house once their newest child arrived, the house would sell extremely well as they would have done everything buyers would want. They went to work and fell in love with their house all over again. But, as they settled into a 3 bedroom semi with 4 children, we got another call and were tasked with finding them a detached 4 bedroom home. Once that was done, we staged their semi and had it on the market within a week or two. As we launched their home on MLS, there were 2-3 other competing homes that hit the market. 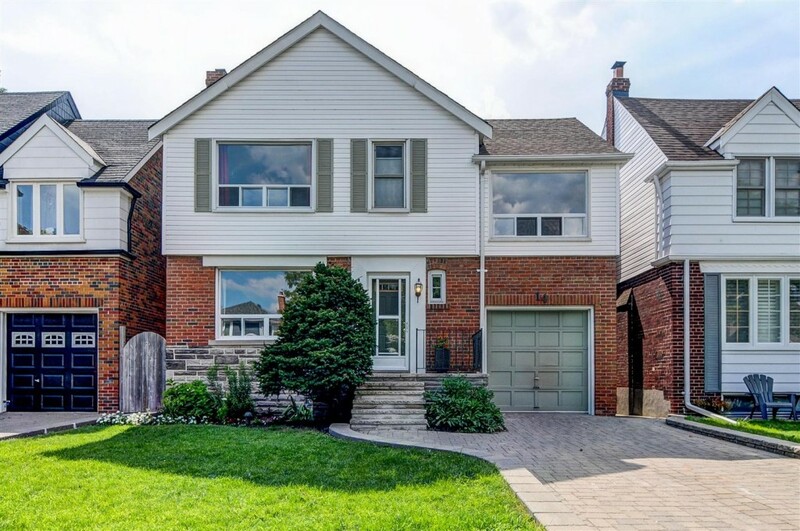 The sellers were nervous but we knew that there house showed wonderfully and with that extra deep yard, which they flooded as a hockey rink each Winter, we had a selling feature none of the competitors had. 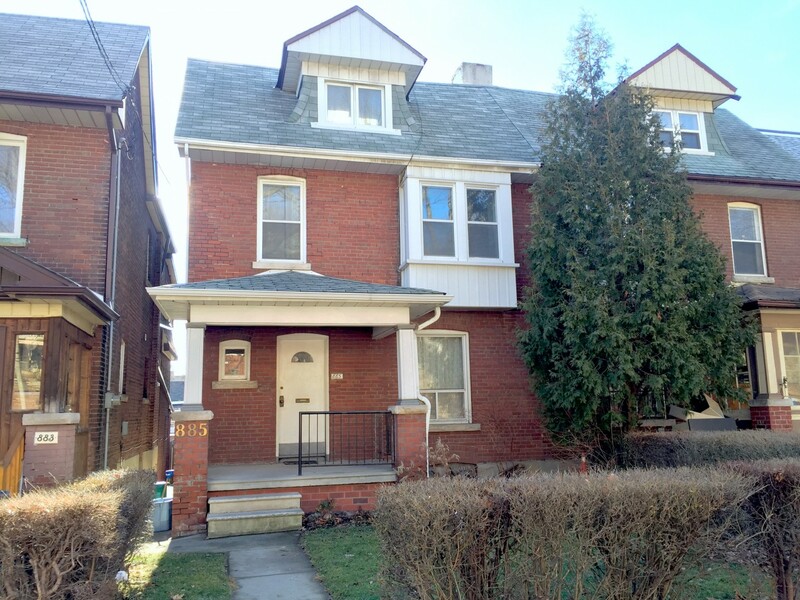 It resulted in a record breaking sale for the area – over $200,000 above our list price! This home would have probably ranked #1 on this year’s list, if it hadn’t sold after only 1 day on the market! We helped clients purchase this home years ago, as a quirky old bungalow. 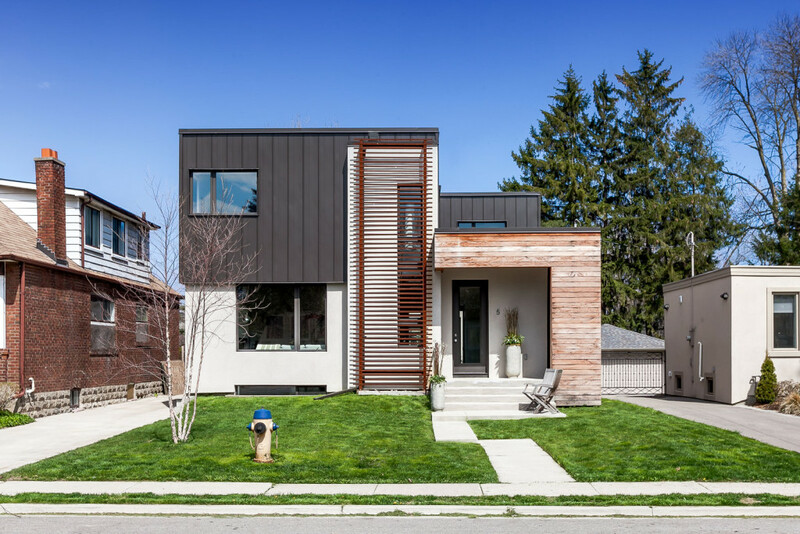 After a lot time, energy & money was invested, they settled into the home you see here and watched the neighbourhood change – with many more new homes being built and the wide 50ft lots beginning to be severed into double lots. When we received a call about the potential of selling their dream home, we met them with mixed emotions as we knew how much this home meant to them. But, the reason for selling was one to celebrate. As our clients already had a home in Toronto (one we helped them purchase nearly 10 years ago and which was maintained as an income property over the years), they were being drawn to the call of the wild. The owners freshened up their already beautiful home with a top to bottom paint job and the addition of custom shelving in their master walk-in closet. A thorough staging was executed and we were ready for the market. Knowing there was another modern home that had just sold, and that there was a buyer who missed out, we priced this property at the top of our expected value range. In the first 24 hours on the market, we had a number of showings – one of which was that “perfect buyer”, who ended up submitting a full price offer and the rest is history! Bonus: How could you not be drawn to the beauty of this country property?